A good one, that is and I couldn’t be happier. This recent CRB tour began last Tuesday and so far I’ve played four shows in three cities, had a new record come out, saw some family that I’d not seen in years, was awarded an amazing gift and got the chance to hang with two of my mentors. I’m still pinching myself and we’ve still got three more weeks to go on this run. How lucky I am. 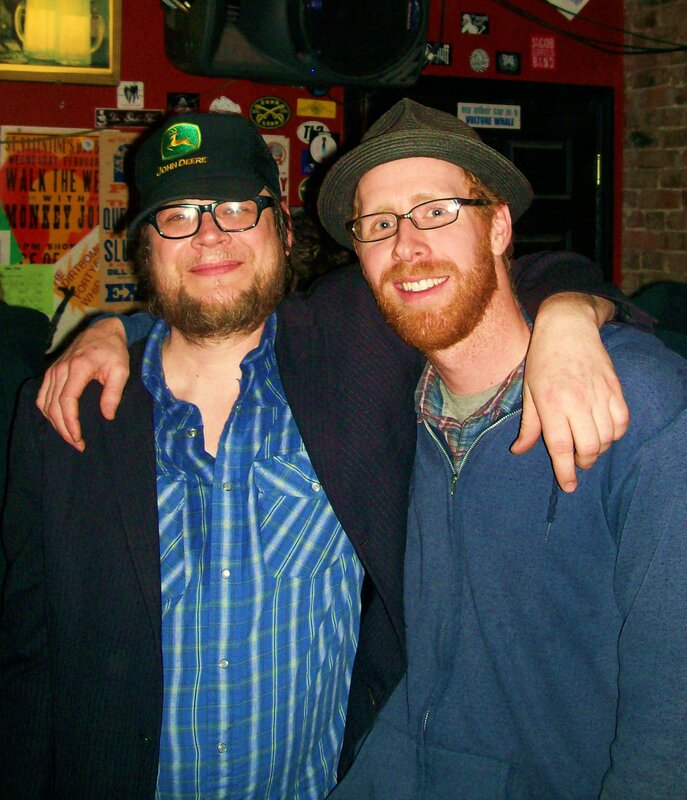 Two years ago in March of 2010, I was approached after a performance in Nashville by a young man named Jake who said he’d been following my career for several years and was looking to take some drum lessons with me. I was flattered to say the least and although I’ve never been much of a teacher, seeing as how this kid seemed sincere, eager and humble, I agreed to teach him and so we set up a time to get together in the coming weeks. At that point, I was living in Memphis and he was in Murfreesboro, TN, which isn’t a short drive by any means and it took him several hours to make the drive east on the day of the lesson. But he made it and we sat at my friends’ rehearsal studio for more than two hours, working on touch, technique and going over the finer points of developing and laying down a solid foundation behind the drum set. I turned him onto Idris Muhammad, Clyde Stubblefield, Levon Helm. It was a good lesson, for me too. He seemed elated afterward and wanted to know when I would be free for more lessons in the future, so I decided that since he’d driven such a long way to study with me, I’d treat him to a burger at Huey’s in Midtown, where singer Di Anne Price just happened to be performing that day, along with the great reed-man, Jim Spake, bassist Tim Goodwin and fellow beat maker, Tom Lonardo. My reasoning was to give him an opportunity to see and hear some of what I’d just shown him in our lesson, even though I would never pretend to be in the same league as an elder statesman like Tom Lonardo. But Jake got the idea and was more than grateful we’d gone there. Not only was the band swingin’ its tail off, but Jake also knew Tom’s son, who lives in Nashville. Jake had been on a session where Tom’s son was the bassist and so they both had stories to tell one another. Small world. Anyhow, it was a great day but I was exhausted and needed to get home to my own Sunday chores and things, so I shook Jake’s hand and agreed to meet with him again very soon. “Before I go” he said, “I need to show you something”. We walk out to his station wagon in the parking lot, he opens the trunk and pulls out a bass drum case. 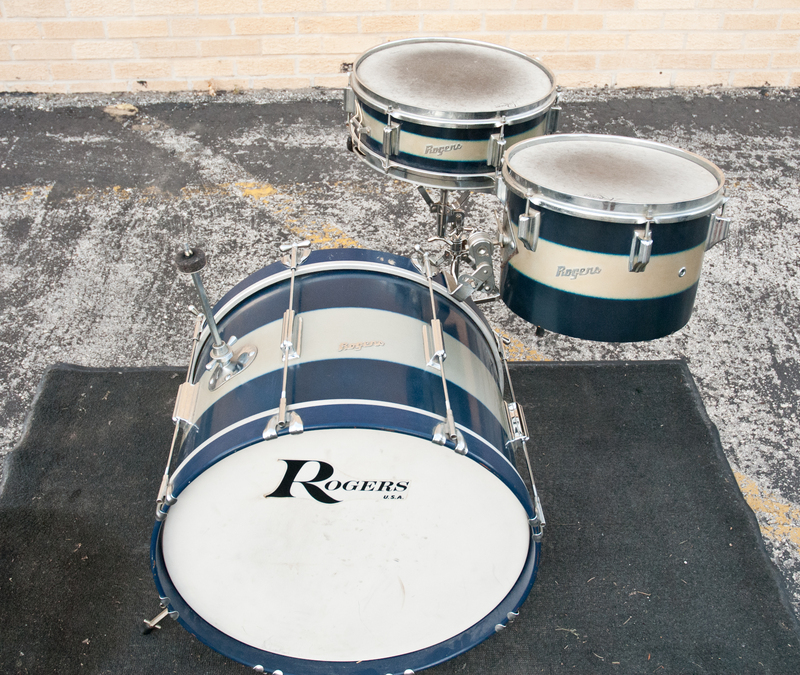 When he opens it up, I cannot believe what is inside…a mid-60’s mint condition 20″ Rogers bass drum in the identical finish as my own, blue onyx. I am completely floored as he relates the story of how and why he ended up owning the same drum set as me…”I wanted to be just like you”, he says! Lemme backup real quick. I mentioned they came from a dealer in Chicago. Well, Jake’s Rogers also came from a dealer in Chicago and it struck me one day that it was the same exact person, Brian Drugan of Drugan’s Drums in Niles, Illinois. I couldn’t believe that I owned two kits from the same person and it took me a while to figure it out. Anyhow, Brian and his brother Johnny have been buying, selling, repairing and collecting vintage drums for many years and are very soon opening up a large drum store near O’Hare, so anything you need, give them a shout. They are the best folks to deal with and extremely fair. Then I remembered there being a story about Jake’s Rogers and immediately asked Brian for the details of how he acquired that kit. Basically, he said that several years ago, he saw an ad in the Chicago newspaper…a lady selling a Rogers drum set, so he called her and made an appointment to go see it. When he got there, an older lady answered the door and took him into the room where the kit was sitting, all set up and with a blanket covering it. She took the blanket off and there was a gorgeous blue onyx kit that’s in the above photo but (she said) there was just one thing wrong with them. 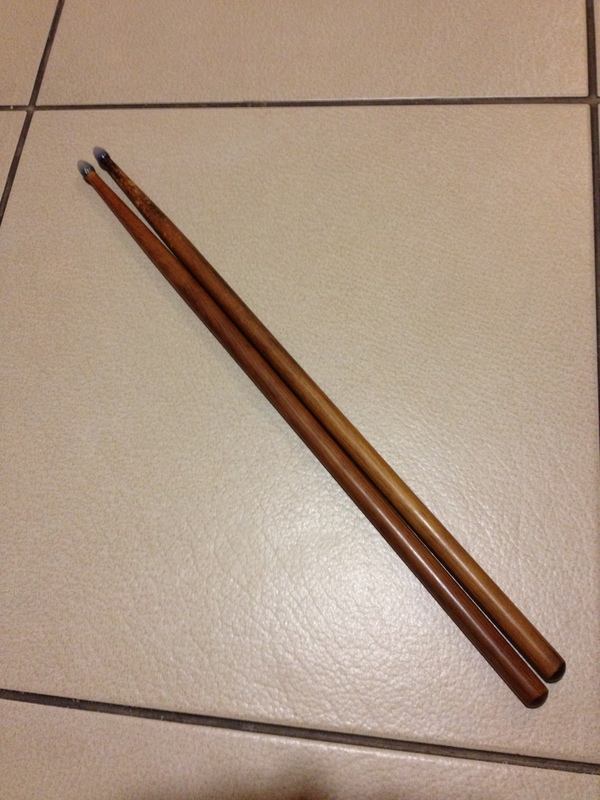 One of the drum sticks was broken and she seemed very sorry about it, apologizing to Brian. Wow. That was it. A broken drumstick, sitting on top of a mint condition set of drums. 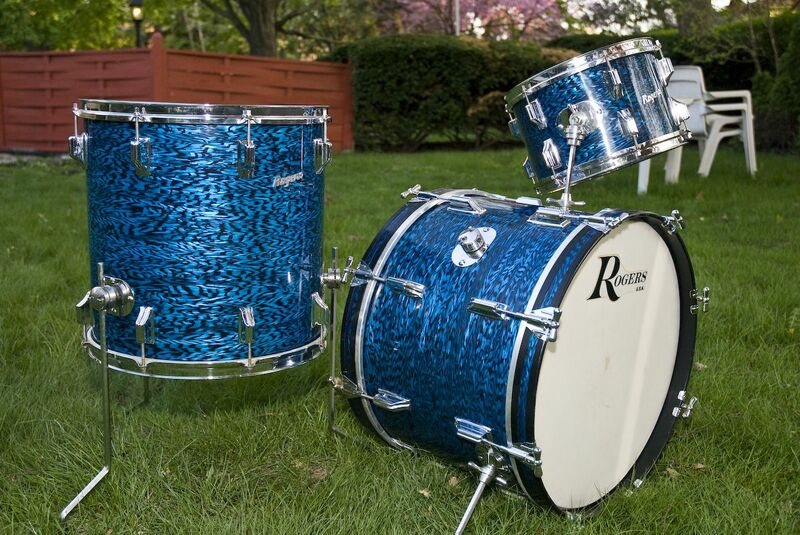 Of course, he told her that it was okay, not a big deal and didn’t hesitate buying them from her then bringing them with him to the Chicago Vintage Drum Show, where he set them up in his booth to be sold with the rest of his inventory. That same afternoon, Brian and Johnny met Jake, who before he became my friend and student, had been living in Chicago and working at a music store that was going out of business. One day he found an old snare drum while cleaning up and asked his boss if he could have it. His boss asked for twenty dollars and Jake took the drum home. Later, he decided to bring it with him to the vintage drum show but when he walked in with the drum under his arm, he was immediately accosted by several dealers offering thousands of dollars for it. Sensing he might be in possession of a rare drum, he waited to sell, keeping the hounds at bay, while he perused the rest of the booths at the show. Then he met the Brothers Drugan. I love this story. 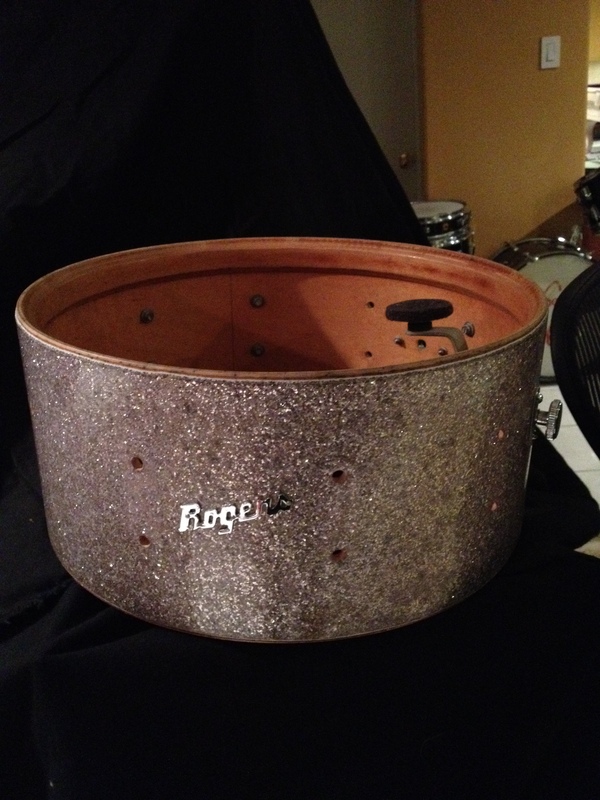 As luck would have it, the drum was a 60’s Cleveland-era Rogers 6.5″ x 14″, wood Dyna-sonic in silver sparkle. One of the rarest snares on the planet and worth a good bit more than the twenty dollars Jake had spent on it, as the company only made a few wood Dyna’s in 5″ x 14″ and even fewer in 6.5″. Also a fierce negotiator, Jake wasn’t going to let such a hot item go for cheap and knowing its value, the Drugan’s made him a generous offer of any kit that was in their booth as trade. Well, low and behold…Jake’s dream kit was staring him right in the face. Rogers blue onyx. The deal was made and that was that. 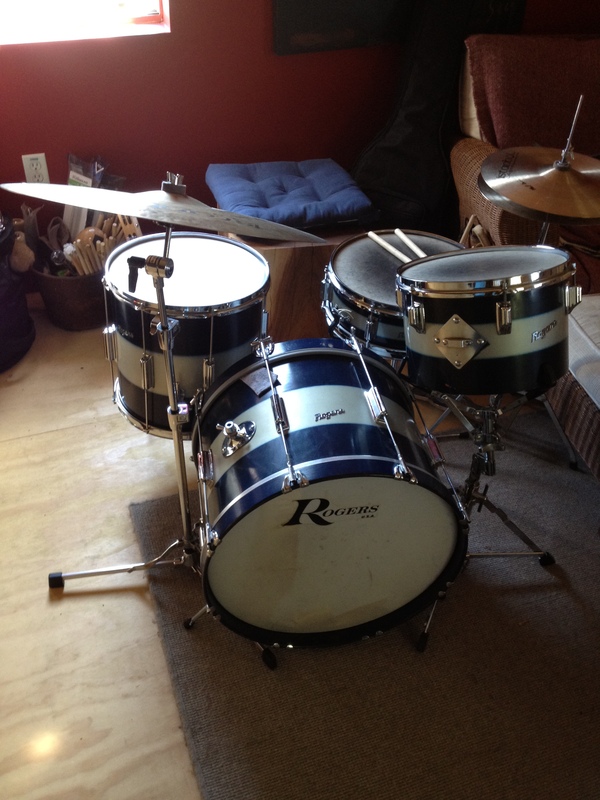 Once he got them home and played a few gigs on them, he realized they had a sound he wasn’t quite used to and ended up going back to using his Slingerland and Gretsch drum sets. Lucky me! Brian and Johnny came out to see our show at Lincoln Hall this past Thursday and afterward, Brian came up and offered me and amazing gift…the broken sticks that came with my kit. Funny thing is though, they’re not really broken! I’ve just realized that I’m prattling on, so I’ll be quick about the rest of my week. 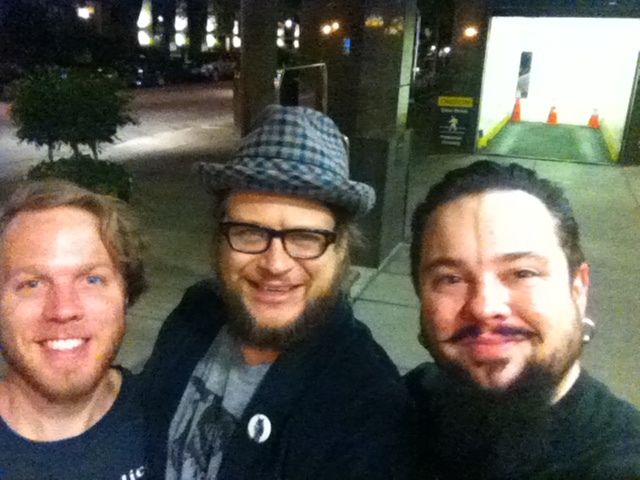 In short, the great Bun E. Carlos came to see us in Madison, WI and he’s a super sweet cat. Showed me a photo of his immense collection that literally takes up an entire barn wall. I dug talking with him and he seemed to enjoy the band. On Tuesday, our second record came out, The Magic Door and so far the reviews have been more than favorable. 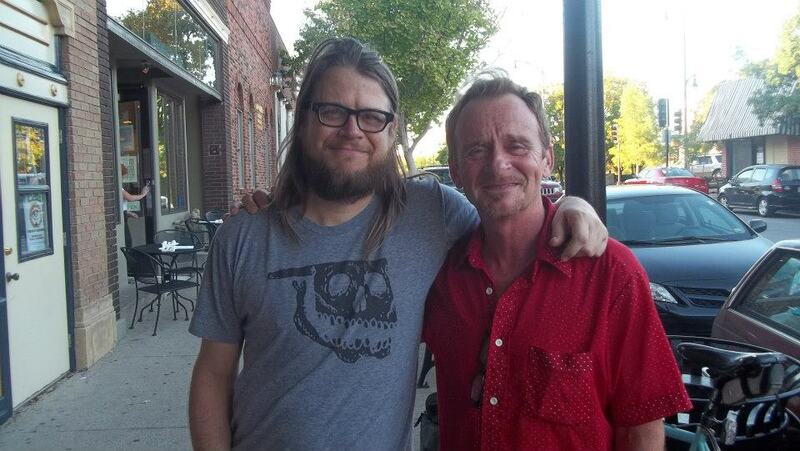 That night, in addition to some very close Missouri family paying me a visit, one of my all-time drumming mentors and teachers also made it out to our show, Mike Cherry. The man who not only taught me how to play with brushes, but showed me how to play a proper double shuffle and is the reason I am able to do what I do today. He’s been drumming in a group from Columbia, MO called The Bel Airs for many years now and I could not have been more elated to see him again. We’d met in San Diego when we were both living out there in the early 90’s and I took to his style right away and he was always gracious with his time and knowledge, spending hours on end showing me how it’s done. Everything from shuffles, to swing, funk and jazz. It’s really been one of the best weeks I’ve had in a long time.